On the last day of August, I was lucky enough to attend the Millbrook HQ grand opening just a few kilometres away from their old location on Iber Road in Ottawa. All the elements you know from the old location have been brought to their new home at 129 Willowlea Road. The difference now is that Millbrook is in their own detached building, and for the public, the showroom has been upgraded stylishly with a tasteful combination of modern displays and reclaimed barn wood. 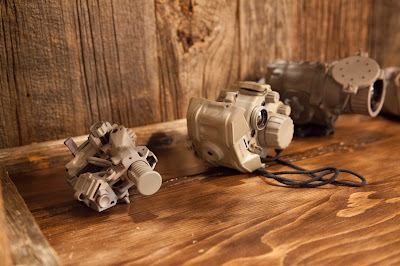 It would seem that with every year that passes, Millbrook Tactical grows more prosperous. The question, of course is, what is the key to their success? At the crack of dawn, Sean the Ontario Geardo photographer and I, made our way from Toronto to the nation’s capital to be one of the first groups of people to see the new digs for Canada’s premiere gear boutique. The drive is long, but when you’re traveling with another geardo, conversations are always exciting. As we rounded the corner on Willowlea, we immediately knew we were at our destination when we saw a line of black Ford trucks and SUVs parked on either side of the road. As we climbed the stairs and entered the new showroom I’ll admit that I felt a bit nervous. Neither Sean or I have served with law enforcement or with the Canadian Forces, so considering Millbrook’s slogan of “Those who serve, deserve”, I felt a tad awkward. With a general idea of the staff and client’s job experience, we figured there were going to be more than a few members of the more specialized and tactically focused departments of the Canadian government in attendance. It’s not that I was nervous of who they were, it’s just that I wasn’t sure what I was going to talk about for the next 9 hours. Being civilian media, we really didn't have any shared work experiences to discuss. Luckily whilst Sean and I were looking at some of the Salomon footwear, a rep came to talk with us about the Forces line that was on display. At that moment, we both fell into our element and at least personally, I felt more comfortable with the whole situation. Gear is something we can all talk about. 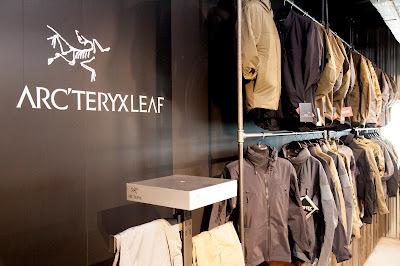 After being walked through the Salomon Forces line the rep was also able to chat with us about some of the new products from the other companies under the Amer Sports Corporation umbrella like Suunto and Arc’teryx LEAF. I wasn’t sure if I was happy or shy with the fact that I was wearing Salomon XA Pro shoes on my feet, Arc’teryx button up shirt and Rampart Pants, and a Suunto clipper compass on my G-Shock. As the night went on though, it was almost comical to see that almost everyone in attendance was wearing something from those three companies. As we were finishing up with some of the cold weather jackets from the LEAF line, Frank the owner of Millbrook came over to say hello with a big smile and handshake to welcome us. He noticed that we didn’t have a beer in our hands and quickly brought us down to remedy that deficiency, picking up anyone else suffering from the same problem along the way. We caught up beside the kegs and Frank was just as down to earth and hospitable as I had remembered. Any apprehension I had for the rest of the night was now a distant memory. Sean and I headed back upstairs eager to explore some more of what the new showroom had to offer. 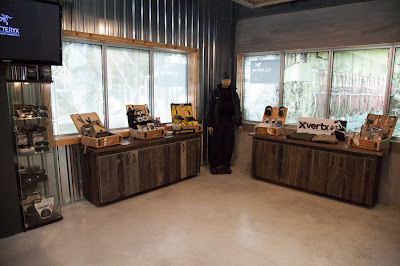 All the great companies that I remembered from the old location were still there from Petzl and Outdoor Research to Smith and Vertx. As we rounded the final corner to see the far side of the showroom we met up with the reps from Ops-Core, a company that all the members of Ontario Geardo hold near and dear. We don’t just collect gear for the sake of collecting gear, the reason we have all this stuff is because we love being outdoors. I’d like to think that I have a pretty good idea of what quality means within this industry, so when Frank told me he only carries the best, I felt confident in the fact that I had already come to the same conclusion. When the time came for Sean and I to select a helmet for our outdoor adventures, I needed to look no further than Millbrook’s shelves. To finish up our time with Ops-Core, they gave us a demonstration of their RAC headset which is incredible. I will dedicate a write up to that system soon as it deserves more than just a paragraph. 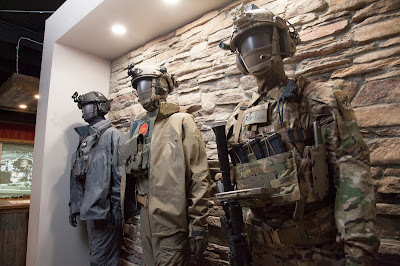 After a little more exploring, Frank met with us again to show us some of the items from L3 Warrior Systems and Wilcox that really impressed him. 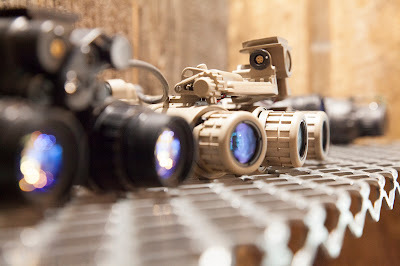 A few of the really notable items included some white phosphorus night vision and a range finding device that you can mount to your rifle. Once you lase your target, it will give you the ballistic solution. Apparently there was a demo where they got a woman who had never shot before to hit a target 1,200m out with her first round. I had better start saving my pennies right? Sean and I headed back downstairs for some ribs and pulled pork that Millbrook had generously catered for all the guests. We were happy to meet a staff member named Mike who has been with the company for just over a year now, and unlike a lot of the other Millbrook staff members I had met before, he was not a member of CANSOFCOM. He was just passionate about what the company was all about and of course the products that they carry; a fellow geardo. We had a great chat about gear and night vision which felt more like the kind of conversation I had with Sean on the drive up, rather than the thin interactions I’ve come to expect at cheap surplus stores around the GTA. It was then that I started to put together why Millbrook was enjoying as much success as they were. When they were first starting out, the staff used their Canadian Forces determination and resolve and applied that to business. It translated well and it is no doubt a contributor to their growth. 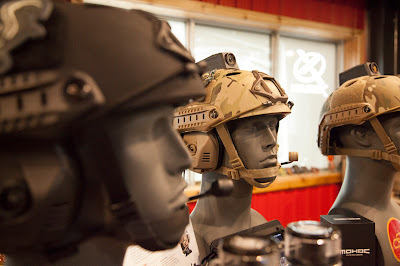 Of course the connections within the industry Frank has as a retired member of CANSOFCOM certainly helps when buyers are getting quotes from different tactical shops. What I personally think puts them at the top of the heap is that they are the only SOF centric tactical equipment and apparel store that I know of in Canada that has such a discriminating and informed focus when it comes to what they put on their shelves. Simply put, they only carry the best, and they sell it all at honest prices. Their slogan “Those who serve, deserve” is something that they take very seriously. I found out after speaking with Frank’s son, that it not only applies to their customers but also to those their hiring practices as well. As a patron, and reassuring for civilians like Sean and I, I'm happy to say that it looks like the Millbrook staff try their best to treat anyone who decides to walk in their store equally. When you visit, you are met with staff that is friendly, knowledgeable, and willing to help you find what you need. When I shop in Toronto I am often watched silently from a distance or ignored, left to find what I’m looking for by myself. Whereas at Millbrook, the staff is proactively seeking to find have a friendly conversation with you. Something that really stood out for me was that when we showed up, one of the staff members Steven, recognized me and came up to shake my hand to say hello. This was a pleasant surprise because I hadn’t been to Millbrook in over a year and a half. 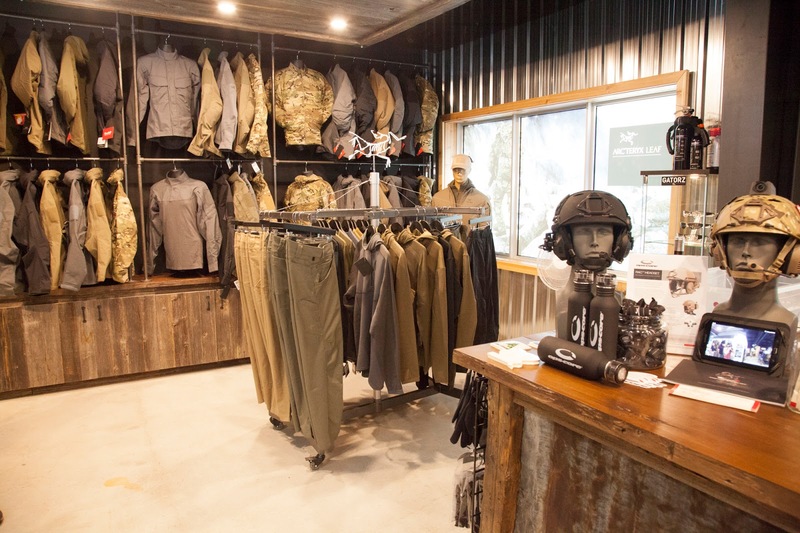 Millbrook really is a one-stop shop for those looking for next level customer service and the best tactical equipment on the market. Whether you are an outdoorsman with an affinity for SOF centric gear, or if you need this kind of equipment for work, Millbrook has you covered. Follow us on Instagram to get bonus pictures of the party.